Adrian Beltre played much of the season at less than 100 percent. 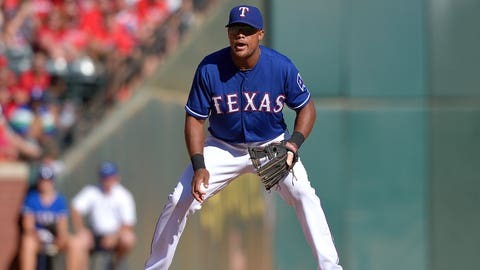 Texas Rangers third baseman Adrian Beltre is expected to be fully ready for spring training after surgery on his left thumb. The Rangers announced late Friday night that Beltre had scar tissue removed as part of a cleanup in the thumb on Thursday. 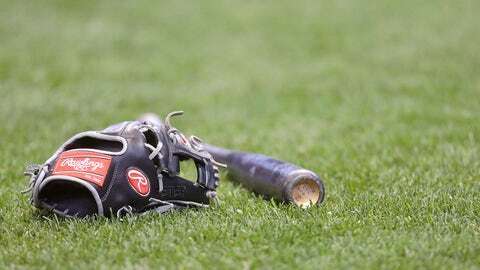 General manager Jon Daniels disclosed last week after the Rangers’ season ended in the AL Division Series that the 36-year-old third baseman played much of the season with a torn ligament in his thumb. He injured the ligament on a slide May 31, and was on the disabled list from June 1-22. Beltre missed two games of the ALDS because of a strained lower back. He finished the season with a jammed finger on his left hand, but hit .287 with 18 homers and 83 RBI in 143 games.